If you’ve been checking out different North Shore landscaping companies, then you’ve probably come to accept two different truths. The first is that the right team can help you with anything, from Massachusetts landscape design to shrub and tree plantings. They can make your life easier, and allow you and your family to enjoy your outdoor spaces more than you ever have before. The other thing you’ll notice, whether you’re looking for residential service or a commercial landscaping company in Massachusetts, is that lots of your neighbors have horror stories. Everybody likes great landscaping, but it can be a challenge to find the right landscaper. When you’ve been in the business as long as we have, you learn what separates the best from the rest. So today, we want to give you a few tips you can use to find awesome residential landscaping in Melrose, MA. We live in a beautiful part of the world. Is it any wonder you have so many choices for residential landscaping in Melrose, MA? Do some digging, though, and you’ll find that not every company has the same kind of reputation for service and customer care. A quick look through the online reviews will show you that a handful of businesses (like Stefano’s) stand head and shoulders above the other North Shore landscaping companies. 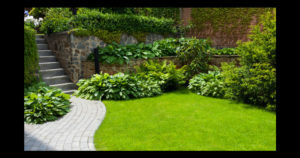 There are really two parts to caring for any outdoor space – Massachusetts landscape design and ongoing maintenance. Without the design element, you might end up with an area that isn’t as beautiful or usable as you might like. That’s why we take so much time with things like planning, not to mention shrub and tree plantings. But without good maintenance and ongoing care, those beautiful spaces can deteriorate. So, find an affordable partner who can create your dream space and then help you keep it pristine. It might surprise you to know that many North Shore landscaping companies don’t offer certain services. For instance, we do Massachusetts landscape design, organic mosquito and tick control, and shrub and tree plantings. However, some businesses in the area simply mow lawns or install your irrigation systems. That’s why it’s important to have a sense of which services you need, so you can choose a vendor who will be able to handle your property care needs from start to finish. If you need care for outdoor areas in your business and your home, consider hiring a commercial landscaping company in Massachusetts. For one thing, you might be able to save a bit of money. And for another, you can find a team who will know more about your needs and preferences so you don’t end up explaining yourself again and again. Best of all, you’ll end up with properties that work perfectly for your family as well as your customers. Naturally, a lot of your search will come down to evaluating different vendors fee proposals, checking out reviews, and simply getting a feel for the personalities of the owners and customer service staff you deal with. But, if you can keep the tips we’ve given you in mind, you’ll be able to approach things with a good sense of what’s important. That can help you ensure you get the right vendor and the right result. Or, if you just want to work with a Massachusetts landscape design company that’s trusted by business owners, property managers, and homeowners throughout the area, call the team at Stefano’s today. You can reach us directly at 978-352-8834 to ask questions or get a quote for your property.